Our Newest Mirror Design - Cape Cod! Helmet Mirrors? They’re Way Cooler Than You Think! How many times do you look into your rear view mirror when you are driving? You don’t really know do you? BECAUSE, you do it automatically – mechanically – involuntarily: in other words, you don’t THINK about it. But, what if it wasn’t there? Would you feel safe, confident, and be able to focus on the task of driving? Every time you go out for a road ride, do you turn to look behind you? Is your bike where you thought it would be when you turned back? Or, is it off to the left or off to the right, or worse, off the road and heading for the ditch? So, let’s change it up. What if you had the accessory – that becomes a necessity – that could save your life? What if it gave you that fraction of a second you might need to bail out – to avoid whatever is coming up behind you? What if it could save your life? Our helmet mirror weighs only a few grams, and is always accessible by just a quick glance upwards. This book was originally meant for those who arranged to takehttps://hubbubonline.com/wp-content/uploads/2017/02a bicycling tour with a company that offered a soup-to-nuts experience. 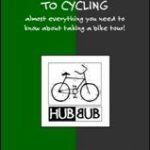 In the years since it was first published, bicycle touring has flourished and “morphed” on so many other levels that this, the “second edition” of the HubBub Guide to Cycling has been expanded to include a broader perspective on traveling for pleasure by bicycle. Back in 1996, I wrote the first edition of this book after a group of bicycle travel company directors sat down with me to discuss issues that often cropped up in their day-to-day work of developing and conducting bicycle adventure vacations for their clients. Many clients, even after reading their departure guides still arrived unprepared for their vacations. I’m not certain that being somewhat unprepared is such a bad thing; and, many of the things you don’t know will shake themselves out in the first day or two of riding. There are however some preparations that, made ahead of time, will enhance your experience and make life a whole lot easier on the road. Fast forward almost two decades and much if not most of the information from our first edition is still very pertinent. However. there are some new perspectives on traveling by bike that seem to have grown out of the veritable explosion of information the Internet offers. Sometimes though what has also happened is that slogging through all that information is tedious and unproductive. My hope is that this unravels some of that for you. One of the other major shifts in bicycle travel has been toward shorter trips, sometimes as short as 24-hours, sometimes a weekend. The fact is, it doesn’t matter what type of bicycling adventure you choose; most of the preparations are the same. So, essentially, The Guide is meant to address those preparations as well as answer such basic doubts as being able to ride 25, 30, or 50 miles per day or how many pairs of socks or shorts you should take on a 7 day tour..
One thing that has not changed – bicycle travel is a most remarkable way to see the world. In this crazy time of instant communication, fast-paced lifestyles, and bite-sized snippets of information, bicycle travel slows you down, quiets the mind, and allows for the opportunity to immerse yourself in experiences in a way no other travel option does. So with that all said… let’s go! I promise that this book contains information that will help you to ride for longer periods of time and keep you comfortable while on that skinny little thing they call a bike saddle. It contains simple positioning suggestions to relieve issues with numb hands, fingers, and private parts, or pain in your shoulders, neck, knees, and back. It will help you choose what to take, what to wear, and how to train for your trip. We believe there are no stupid questions, so if at any time, you cannot find an answer to something that puzzles you, we urge you to contact us – we are available pretty much all the time via email <hubbubonline@gmail.com>. We hope that this compilation of important, obscure, sometimes enlightening, and occasionally irrelevant facts will teach you something you might not have already known, and might even make you laugh once or twice. What we cannot do for you is get you out on your bike and begin the pedaling that will get you in shape for your adventure. That you will have to motivate yourself to do. Oh, one last comment (you thought we’d let you off that easily?) – You most certainly do NOT have to be a world-class athlete to take a bicycle tour. Indeed most people who decide to try an adventure cycling vacation have never been on an extended ride of this sort, and they do just fine! How Many Pair of Shorts Do I Need? Since you want to begin with clean, dry cycling shorts every day – and CLEAN is the operative! – I would suggest at least 2 pair for every 4 days of travel. So, a 7 day trip would need 3 pair of shorts. You can wash a pair out each night and re-use them the next day; however, drying time depends upon the weather – humidity, etc. AND, you may not feel like washing clothes every night. IF you are unable to wash your cycling shorts clean before wearing them, you open yourself up to bacteria that can cause rashes, chafing, sores, and other unpleasant problems. It’s not worth testing this – believe me, it’s important. If the shorts are not dry when you put them on, chafing and added moisture in areas where you don’t want or need it can cause similar issues as shorts that are not clean. Perhaps one of the best solutions to extending the life of a short is the use of a liner. 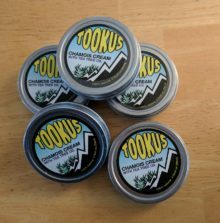 In addition to allowing you to wear a pair of shorts for a second day, a liner can add a bit more padding, offer a second wicking fabric between you and the chamois pad in your cycling shorts, and they wash clean and dry lightning fast! You can read about the Andiamo unpadded Skins™ that we sell and see if this might be a solution for you. If you are loathe to wear tight fitting cycling shorts, Andiamo also makes padded liners for men and women that you can wear under virtually any garment – short, skirt, trouser, or Capri. They add a seamless pad, protecting you from the seams of other garments and will also wash clean and dry quickly. My recommendation for shorts + liners: Take two pair of shorts for every 5 days and 3 liners. Just like feet, it’s always nice to have a dry bum!